MEPs called on Wednesday for a 40% cut in CO2 emissions, a 30% target for renewable energy and a 40% target for energy efficiency by 2030, under the EU’s new long-term climate-change policy. These targets should be binding, they say. MEPs also criticised the European Commission’s recent proposals as short-sighted and unambitious. Parliament calls on the Commission and EU countries, in its resolution adopted on Wednesday by 341 votes to 263, with 26 abstentions, to set a 2030 EU target to reduce domestic greenhouse gas emissions by at least 40% from 1990 levels. It also wants an energy efficiency target of 40%, in line with research on the cost-effective potential, and a commitment to producing at least 30% of total final energy consumption from renewable energy sources. These targets should be binding, MEPs say, and implemented through individual national targets, taking account of each member state’s situation and potential. “The price of energy seriously affects companies, industry and, more specifically, our citizens. If we want to reduce our energy imports we have to produce more in Europe, by making better and more efficient use of our resources,” said the co-rapporteur for the environment committee, Anne Delvaux (EPP, BE). “If we have a broad energy mix with greater energy efficiency, this is the best option to reduce to reduce greenhouse gas emissions, to encourage new technologies and innovation, create jobs, and change our economies into greener economies. This is why we need three binding objectives,” she added. “This result is not satisfactory. We are promising ourselves, Europeans and European industry, that this new climate policy would be realistic, flexible and cost- efficient. This are very good assumptions. However, if we double the emission reduction target after 2020, it is not realistic. It is a road to reduce the competitiveness of European industry,” said Konrad Szymański (ECR, PL), co-rapporteur from the industry committee, who withdrew his name from the report that was adopted. “Adopting these objectives before the 2015 Paris talks is a mistake. We should not show all our cards today before our partners say what they mean. Binding objectives on renewables and energy efficiency is not a flexible arrangement. We know well that member states and individual sectors have different capacities,” he added. The non-binding resolution follows up the Commission’s March green paper which triggered a debate on a 2030 framework for climate and energy policies after the current policy framework runs out in 2020. The Commission tabled proposals on 22 January setting less ambitious targets, which were met with scepticism from MEPs, who express their deep concern about some of the proposals. For MEPs, the Commission communication is short-sighted and unambitious on a number of levels, specifically as regards the lack of national targets for renewable energy and of any meaningful new action to incentivise energy efficiency, they say. “The vote today by European Parliamentarians for three binding targets for 2030, including one for renewables of clearly more than 27%, sends a strong signal that political will to support clean renewable energy solutions to the climate issue is strong”, said Rainer Hinrichs-Rahlwes, President of the European Renewable Energy Council (EREC), in a reaction. “And this despite the weak 2030 policy proposal put forward by the EU’s Executive Branch”, he added. “A meaningful 2030 renewable energy target would spur the lagging European market, thus encouraging private investment in real game-changing technologies such as the array of different sources of renewable energy which exist at present”, added Hinrichs-Rahlwes. 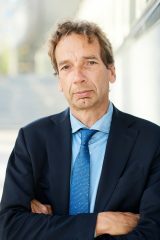 “It is now up to the European Council to ensure that the EU’s promise to cut its greenhouse gas emissions by 80-95% by 2050 is not discarded on the basis of an emissions target at the lower end of what would be needed, and thus ensure a positive way forward for European renewables technologies”, said Hinrichs-Rahlwes. Karel Beckman is editor-in-chief of Energy Post.